Barbati, Chiara & Olga Chunakova (eds.). 2018. Studies in early medieval Iranian religious manuscript traditions other than Islamic. Written Monuments of the Orient 2(8). Institute of Oriental Manuscripts: Russian Academy of Sciences. This edited volume is part of the English version of the biannually published journal Written Monuments of the Orient, issued at Institute of Oriental Manuscripts: Russian Academy of Sciences. Péri, Benedek. 2018. 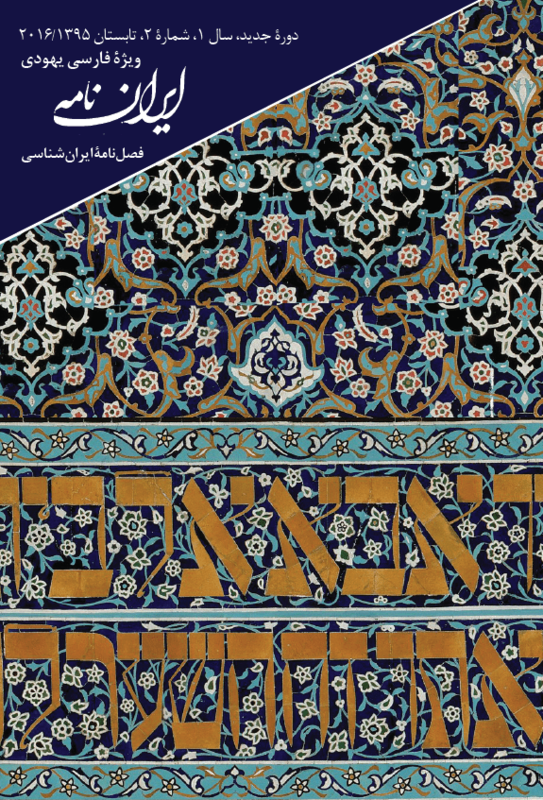 Catalogue of the Persian manuscripts in the library of the Hungarian Academy of Sciences (Islamic Manuscripts and Books 16). Leiden: Brill. The Library of the Hungarian Academy of Sciences was established in 1826. Its collection of Persian manuscripts is the most comprehensive set of its kind in Hungary. The volumes were produced in four major cultural centres of the Persianate world, the Ottoman Empire, Iran, Central Asia and India during a span of time that extends from the 14th to the 19th century. Collected mainly by enthusiastic private collectors and acknowledged scholars the manuscripts have preserved several unique texts or otherwise interesting copies of well-known works. Though the bulk of the collection has been part of Library holdings for almost a century, the present volume is the first one to describe these manuscripts in a detailed and systematic way. Benedek Péri is the head of the Department of Turkic Studies, Eötvös Loránd University, Budapest. Specialized in the history of classical Persianate literary traditions, he has widely published on various aspects of Persian, Chaghatay and Ottoman literature. Center for Iran, Balkans and Central European Studies in partnership with the Cyril and Methodius National Library of Bulgaria, the “St. Kliment Ohridski” Sofia University, and Allameh Tabataba’i University are going to convene the international conference on “Persian Manuscripts in the Balkans and Central Europe”. The conference will be held in Sofia, with the contributions of scholars and researchers from 16 countries, expert in codicology. Scope of the topics to be discussed in this conference includes: Persian manuscripts; Persian documents; manuscripts about Iran in other languages; documents about Iran in other languages; and exploring Eastern manuscripts. Allameh Tabataba’i University (ATU) will publish the approved papers. Along with the conference, a workshop on “Codicology” will also be held. Moreen, Vera Basch. 2016. 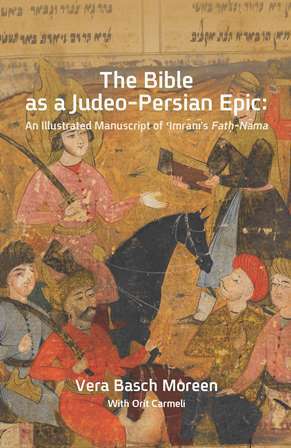 The Bible as a Judeo-Persian epic: An illustrated manuscript of ʿImrānī’s Fatḥ-Nāma. Jerusalem: Ben Zvi Institute for the Study of Jewish Communities in the East. ʿImrānī, one of the great Judeo-Persian poets, was probably born in Isfahan in 1454 and died in Kashan after 1536. Inspired by Shāhīn, the other great JP poet, ʿImrānī’s works concentrate on the post-Mosaic era from Joshua to the period of David and Solomon. Among his 12 poetic works, Fatḥ-Nāma “The Book of the Conquest” is his first and remains one of his important works. He began the composition that comprises approximately ten thousand couplets in 1474. The content of this masnavī (narrative poem in rhyming couplets) deals with the legend of the conquest of the Holy Land by Joshua as well as events from Joshua to the reign of Solomon. A Vidēvdād Sāde, 1704. (©Jamsheed K. Choksy) via EIr. The third meeting of the European research network Corpus Avesticum to be held in Paris, 25-26 April. 2016. Researchers from France, Spain, Germany, Italy, Belgium and the UK will meet to discuss various projects in preparation of a new edition of the Avesta and the special topic of this meeting. This meeting is dedicated to the research questions mainly regarding to the “Phonetics and Phonology in Avestan and Beyond”. See here the detaild Programm and the Abstracts. The Project of Corpus Avesticum (CoAv) is a pan-European Co-operation that aims at making the Zoroastrian Texts, called the Avesta accessible in a new Edition. The current one stems from 1896 and is erroneous with regard to many crucial aspects, the most important of which is the amalgamation of the liturgical and exegetical text witnesses. See also the previous posts on the First and Second Meeting of Corpus Avesticum.